Note: Prescribed Deadlift weight for men is up to 185lb. and Women 115lb. 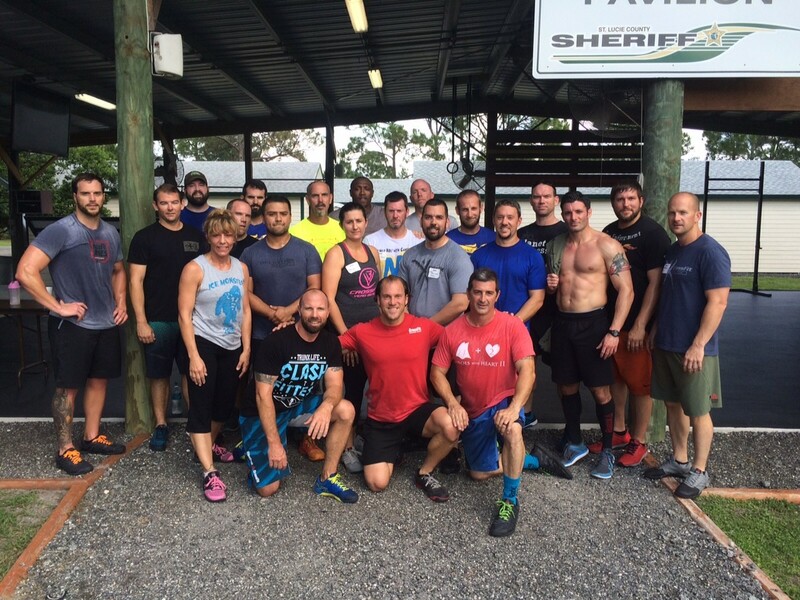 Congratulations to the graduates of the April 11, 2015, CrossFit Law Enforcement Seminar, hosted by St. Lucie County Sheriff’s Office in Florida. This was the first LEO Seminar to hit the East Coast, and the event sold-out in just a matter of days. In attendance were Officers and Deputies from a wide range of Departments in Florida, including Sebastian Police Department, Hollywood Police Department and numerous members of the highly respected St. Lucie County Sheriff’s Office SWAT Team. Note: Today’s LIGHT workout comes from our CAMP Program. Modifications for the GI Jane will include Burpees to the Pull-up Bar. Complete up to 5 rounds of this workout. Rest up to 3:00 between rounds. Your score is the total number of GI Jane’s completed each round. Week 3 – Santa Cruz Challenge Week!